Mauricio Pochettino has said a lack of complaining has helped Tottenham to improve their form and enter the Premier League title race in recent weeks. Spurs moved above Manchester City into second place with a 5-0 victory over Bournemouth at Wembley on Boxing Day, their fifth straight Premier League win. The team have been forced to deal with a number of distractions already this season including injuries, a lack of signings and delays to the construction of the club’s new stadium. But Pochettino, who has been heavily linked with the Manchester United job since Jose Mourinho was sacked before Christmas, thinks the belief and positivity in the group is bearing fruit. “One thing that we have is the belief in the squad, all of them young or senior players,” Pochettino said (via ESPN). “We always believe that we can improve and always believe that we can learn. “In six months we never complain about anything. We no complain about no signings, we no complain about the stadium, we no complain about the fixtures, we no complain about come to play at Wembley when the plan was to play in the new stadium and the pitch because Wembley was booked for the season – many, many things. “But one thing we have kept is the belief and been positive, we created a bubble and now that is paying [off] and we are I think in that position because we work a lot. A number of Tottenham players are currently in top form, including Harry Kane, Son Heung-min and Christian Eriksen. 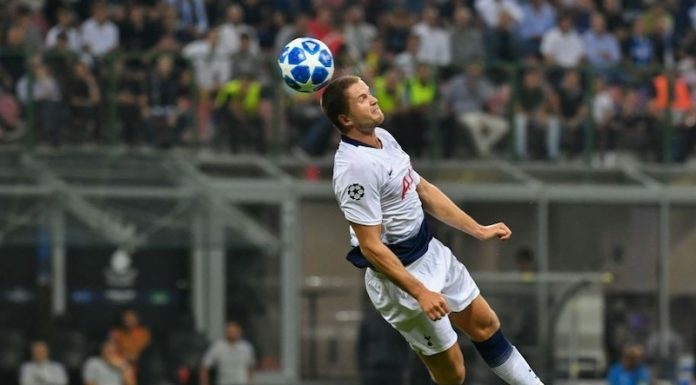 Injuries remain a problem but the rotation Pochettino has implemented since the beginning of the campaign has ensured the players coming into the team are fresh and prepared for each game. Spurs face Wolves at Wembley on Saturday before a trip to Cardiff City on January 1.